"This 4 bedroom barn-dominium has so much to offer!! 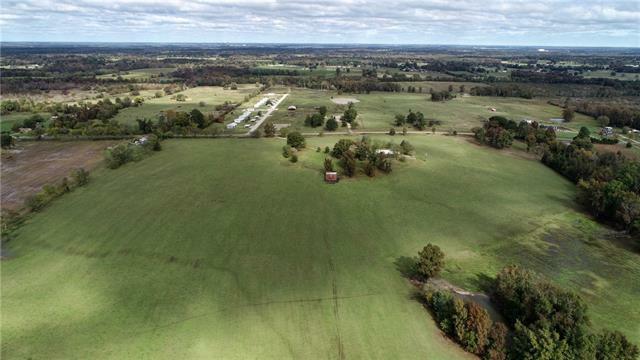 486 acres completely fenced in with cross fences in place, several metal buildings for equipment storage or hay storage, all equipment and cattle (at the time of offer) is included in the sale of this property. 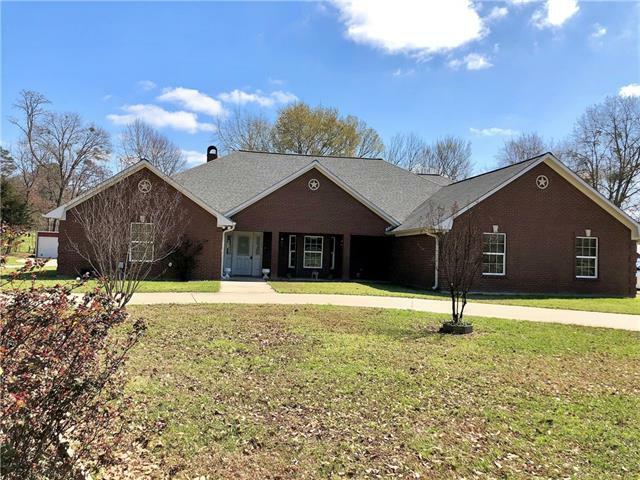 There are 2 brick rent houses, 2 rental cabins, one mobile home, a metal building with two apartments, about 3 tractors, a sprayer, goose neck trailer, flat bed trailer, small cattle trailer, all the tractor attachments, several ponds, a"
"This 4 bedroom barn-dominium has so much to offer!! 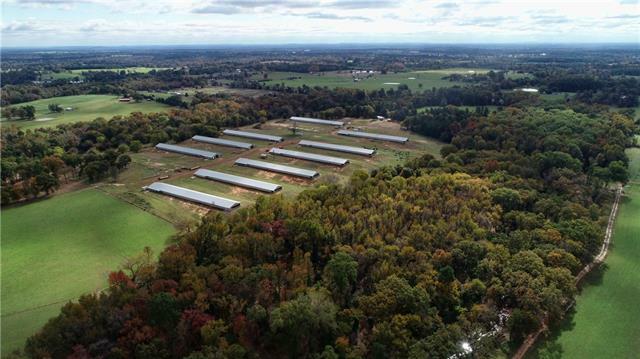 222 acres completely fenced in with cross fences in place, several metal buildings for equipment storage or hay storage, all equipment and cattle (at the time of offer) is included in the sale of this property. There are 2 brick rent houses, 2 rental cabins, a metal building with two apartments, about 3 tractors, a sprayer, goose neck trailer, flat bed trailer, small cattle trailer, all the tractor attachments, several ponds, a creek and so muc"
"Beautiful property has a lot to offer! The main home 5 bed 4 full baths, 2 half baths, sunroom, (2 of the 5 bedrooms are in a guest suite with a living room and full bathroom and has its own AC), 2 car garage with 10x6 storage room, 1 car carport with additional 30x40 2 car garage and storage area, Relaxing covered patio area with built in smoker, larger open patio area, 10x12 metal shed, 40x60 shop with 30x60 owning all concrete floors with electric., 20x50 3 sided equipment shed., 20x50 anima"
"ATTENTION HORSE LOVERS!! Beautiful Horse Ranch. About 2 hours East of Dallas. Over 20 manicured ACS fenced & crossed fenced. Gated entry with a beautiful drive into the property. Beautiful stocked pond. Scattered trees and fruit trees add to the beautiful landscaping. Barn is 75X75 and has 7 stalls and there is room for growth. 3 Separate grazing areas for your horses with automatic water. Nice shop with large pavilion. Potential income from the 7 AC vineyard. 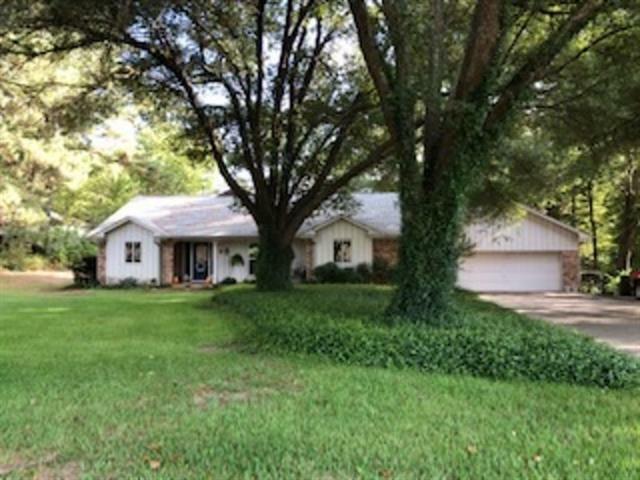 Spacious main home with large kitc"
"Large tracts like this are hard to find. This is a beautiful piece of property and well manicured. Poultry houses are inactive and used for storage. Great fencing around the property, large pond with a great covered fishing pier. Great pasture with scattered trees. Main house has been remodeled with new flooring, appliances, fresh paint. 2 small houses for rent houses, 5 wells, rock roads throughout. Located on an FM road and only about 3-4 miles outside of town." 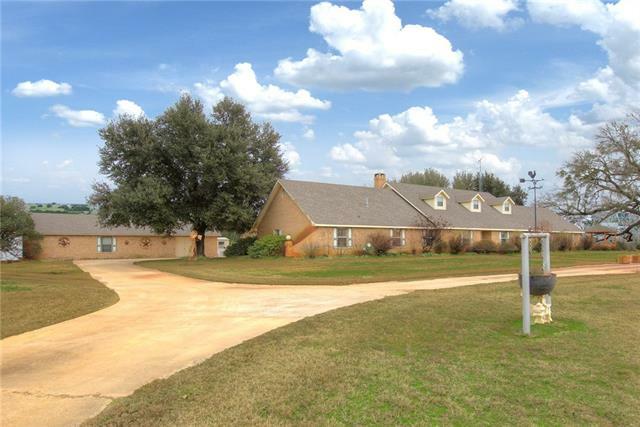 "Gentleman's executive ranch near lakes Cypress Springs & Bob Sandlin, less than 2 hours from Dallas. Gorgeous 51.84 acre fenced and cross-fenced property includes pastures, creek, pond and 19+ acres of timber. Colonial inspired 5,380 sq. ft. executive 4 bed, 3.5 bath home boasts luxurious finishes, true to its architectural period style. Large covered shed, workshop, open barn, 2 stall loafing shed with water access makes this the perfect property for your horses or livestock." 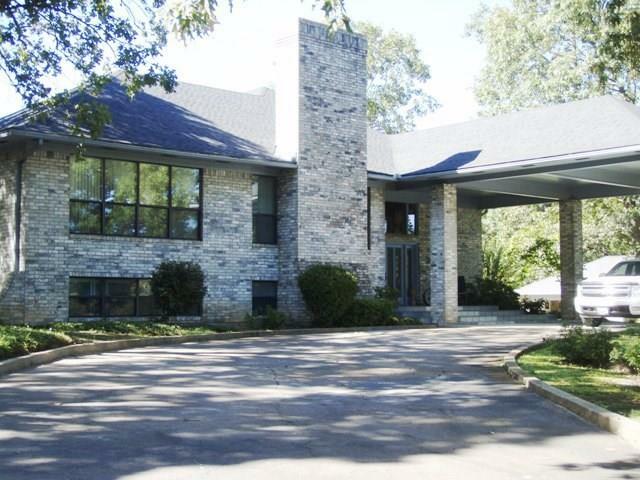 "Beautiful gated Country Estate on 6.2 acres, near lakes Cypress Springs & Bob Sandlin, less than 2 hours from Dallas. Colonial inspired 5,380 sq. ft. executive 4 bed, 3.5 bath home boasts spacious rooms and luxurious finishes throughout. This timeless home offers both formal and open casual living with 3 living areas, 2 dining, study or library, huge gourmet kitchen, 3 car garage a workshop and much more. Additional acreage available, contact listing agent for details." 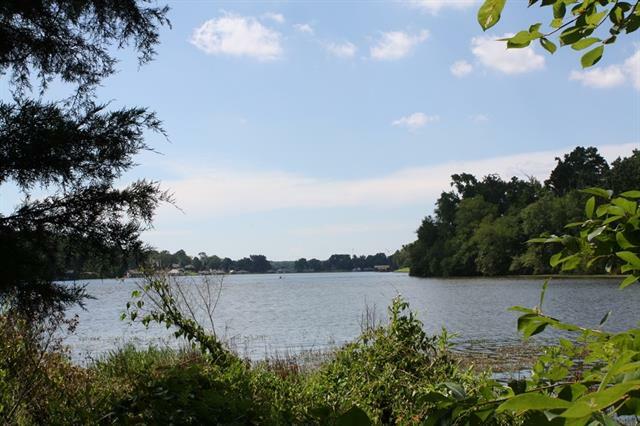 "Private farm and ranch property located on Lake Bob Sandlin. Over 1500 ft. of shoreline. The property is half in pasture and half wooded. Nice hay meadow and abundant wildlife. 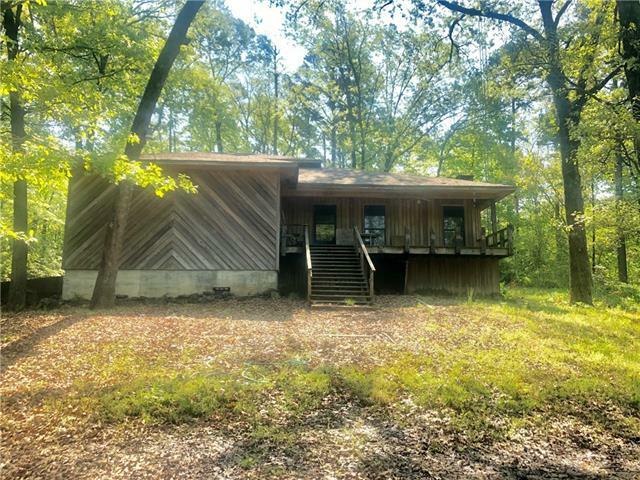 2 bedroom, 1 bath cabin with large screened in porch. Pole shed and barn. Garden area. 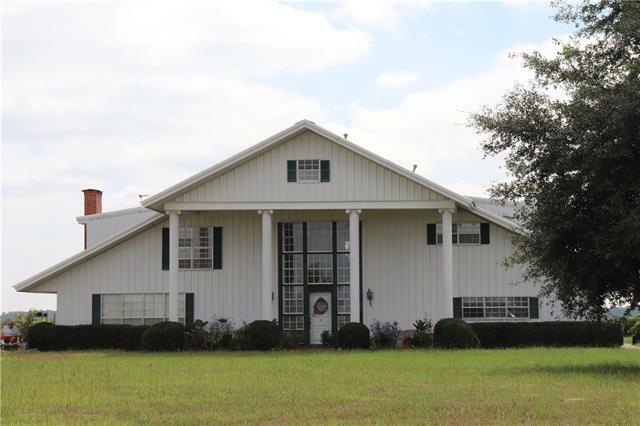 A wonderful retreat on Bob Sandlin where you can have livestock, waterfront property and privacy. Must see to appreciate the opportunities the property offers." "Enjoy spectacular sunset views from this gorgeous waterfront home. This 4 bedroom, 3 bathroom home boasts exquisite touches such as granite countertops, a cozy stone fireplace, a huge extra room over the garage, and a beautiful master suite with a perfect view. 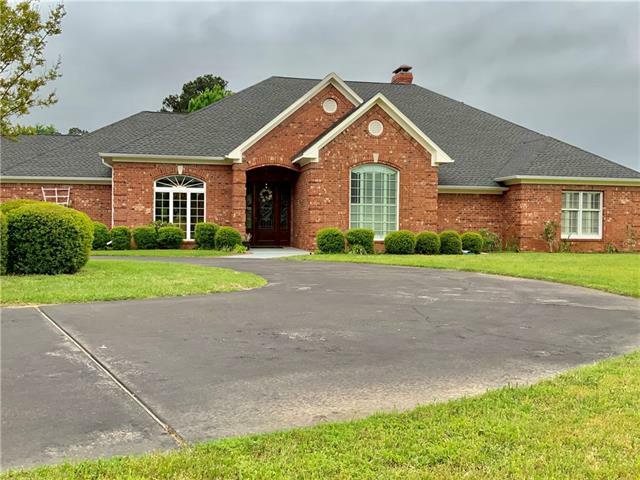 Step outside on to your massive back porch, with over half screened in, where you can entertain guests while enjoying the ambience of the sparkling waters of Lake Bob Sandlin. After a day on the lake, step away from your private boat dock"
"Simply stunning three story lake front home. This open concept home boasts two stories of floor to ceiling windows overlooking Lake Bob Sandlin. Granite counter tops and beautiful flooring through out. Large balconies on both the first and second story are perfect for entertaining family and friends! Want to spend some time on the water? 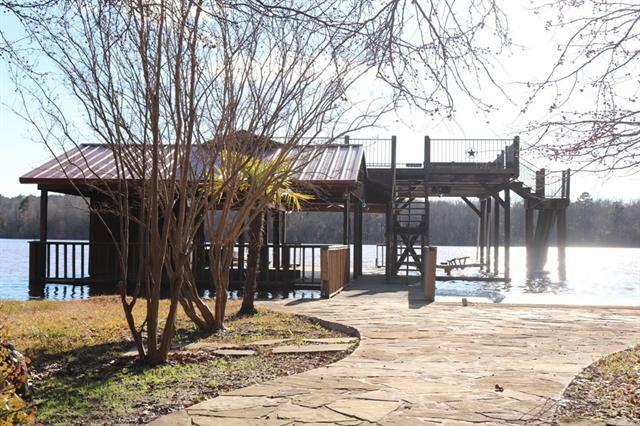 There is a one stall boat house for your own personal access to this beautiful east Texas lake. Plenty of room for everyone! Media room with kitchenette, "
"Rare opportunity to own this spectacular waterfront home on Beautiful Lake Bob Sandlin. 5 Level Home with 5 living areas, 4 bedrooms, 5 baths, 2 half baths, swimming pool with sit down area and table, 5 enclosed garages and 2 car porta cache, 3 stall boathouse & storage building. Master suite has his &her bathrooma, sitting area & 6 closets. Many, Many Extras!!!" 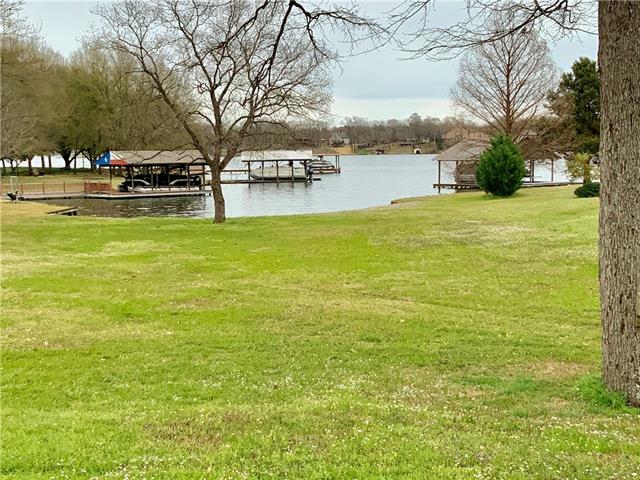 "LAKE FRONT, cedar, home on Bob Sandlin in beautiful east Texas! 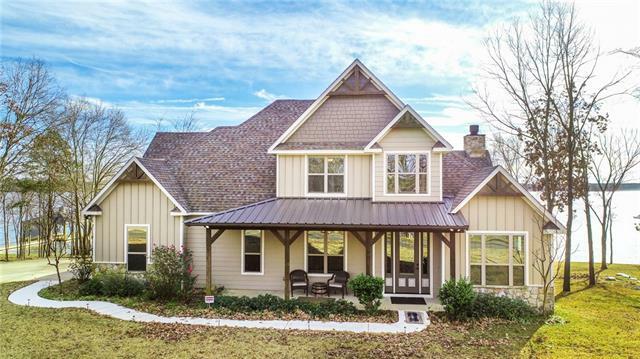 This home is a new construction home and it's gorgeous! Sits on approximately 1.23 acres. Three bedrooms, two full baths, and one half bath. Large utility room and a bonus room for office or separate media room! Kitchen and living open. Great for entertaining! Granite through out! Walk in pantry. Vaulted ceilings, stunning fireplace, lots of room to enjoy! Master boasts walk-in closet with built in dresser. This home is a must "
"Beautiful home completely remodeled in 2009! Beautiful, serene setting! Four bedroom, four full bathrooms! Vaulted ceilings, granite, open kitchen and living area, breakfast room and formal dinning! This dream home will be surveyed off of a larger tract. Seller will convey approximately 1.78 acres. Entertaining family and friends will be a joy with the in-ground Gunite pool with hot tub and waterfall feature. The pool can be heated for enjoyment year round! There is a 40x40 metal workshop with"
"Beautiful large custom brick in a picturesque setting with over 7 fenced acres of mature trees, 46x50 shop on separate electric meter with roll up doors and outlets throughout, a separate pole barn with pipe fenced corral and 60' private well for outside watering with thoughtful placement of outdoor faucets. This property has a spacious open floor plan that has a master suite that you will never want to leave; complete with a jetted tub, separate shower, walk-in closets with fold down ironing bo"
"Shade galore to keep cooling costs down. Great covered and open decks to relax. Greenhouse, shop and storage building. Well established yard. Vaulted ceilings in family room. Kitchen has appliance garage. Large master suite with sitting area and large walk-in closet. Utility room is conveniently located off of MBR. Convenient to town and shopping." "PERFECT WEEKENDER ON BOB SANDLIN! Spacious 2 bedroom and 2 bathroom with room for growth. This is a small cove right at the open water. Open living and dining. Split bedrooms. Oversized garage with work area. Nice deck. Great neighborhood near the marina." "Adorable country home on 2 acres. The inside of the house was partially renovated in 2011-2012. Setting is quiet and serene with beautiful views from the large front porch. Three bedrooms, two full bathrooms. Large metal barn with it's own driveway for easy access." "LAKE VIEW PROPERTY!! The lot doesn't get any better than this! It is absolutely gorgeous! Trees galore! Want to own Lake view property but not pay the high cost for it? Then this home is for you! The 3 bedroom, 2 bath lake house is waiting for you! Bring your hammer and paint and own your very own lake house! 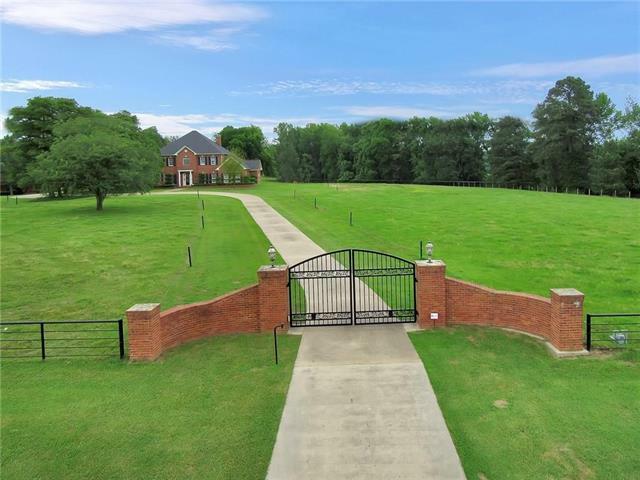 The home sits on the most beautiful property on over .75 acres! Your own paradise awaits!"